Have you ever heard the phrase Timid Virgins Make Dull Companions? It is a mnemonic that helps you steer and navigate your boat. If you want to sail somewhere, you don't just point your boat and go. It is a lot more complicated. You have to take into account many variables such as wind and current. Tools like the compass help. 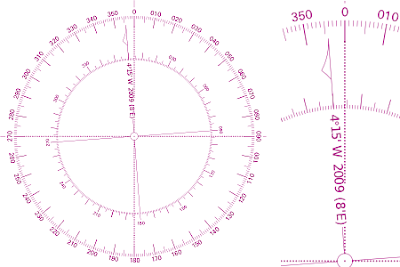 The compass may seem simple, but even that is not as easy as people think. Compasses were invented by the Chinese as early as 1000 BC, and were used all over the world. They used an iron needle suspended over lodestone, which is iron oxide. The iron needle always points north, because of the magnetic pull of the Earth. In Europe, however, one had to be careful. The strange device that always pointed in the same direction was thought to be witchcraft. Compasses have 32 markings on them called points. 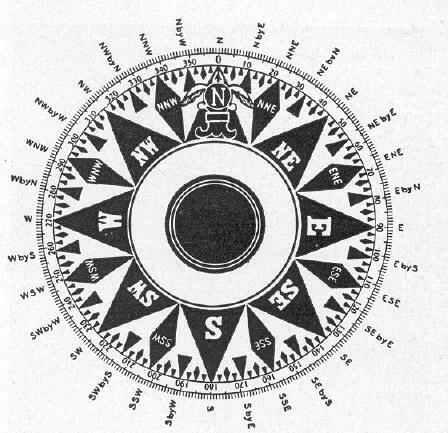 In the olden days, sailors were expected to be able to, "box the compass,' and name off every point rapidly and in order. 90 degrees. If you don't know the variation, then you don't actually know which way you are steering. 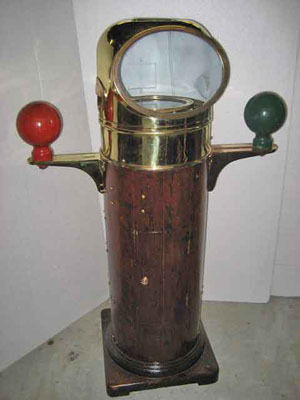 Binnacle with spheres to counteract deviation. 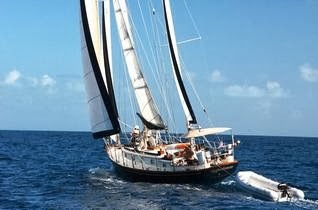 Another thing to take into account when steering is deviation. Your compass might not even point to magnetic north, either. It might be a few degrees off. This is called deviation, and it would make it even harder to steer the boat accurately. Every compass has its own idiosyncrasies, which causes its deviation. An even bigger source of deviation on steel ships is the metal of the hull. 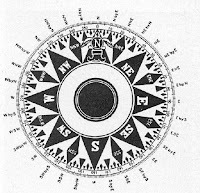 To fix this, they would put soft iron and other magnets around the compass to counteract the ship, and even today steel ships have them. To make things even more complicated, deviation also can change depending on the direction of the ship and how much the ship is heeled. Amazingly, if a steel ship is on one course for too long, the deviation may change. Another extraordinary thing is that the poles eventually will change positions. The earth’s magnetic field has decreased by five percent in the past century. In a couple hundred to a few thousand years the magnetic field will cease to exist. Birds won’t be able to navigate, compasses won’t work, ships wouldn’t be able to navigate. Eventually, after a long stretch of a non-magnetic earth, the magnetic field will return. It will get stronger, but with one difference: this time, the compasses will point south. 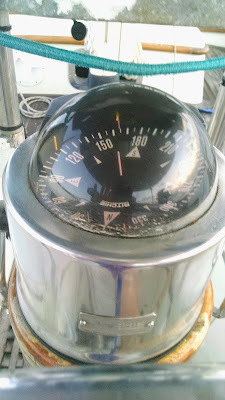 Start with Timid, or True, the true direction from your boat to your destination. Add to that Virgins, or Variation, the difference between true and magnetic. That results in Make, or Magnetic, the direction that your compass shows. Add to that Dull, or Deviation, how far off from magnetic north your compass actually is. This give you Companions, or Compass, the reading you should actually point on your compass. Timid/True plus Virgins/Variation equals Make/Magnetic. Add that to Dull/Deviation, and you get what you should steer on the Companions/Compass.